Prime Minister Benjamin Netanyahu reached a deal to expand his coalition government on 25 May 2016 by bringing in the ultranationalist Yisrael Beitenu party and appointing its leader Avigdor Lieberman as his new defense minister. The development capped a tumultuous political week that began with Netanyahu negotiating with the moderate Labor Party against a backdrop of international pressure to relaunch peace efforts with the Palestinians, before choosing Lieberman's hawkish party instead. Lieberman is one of Israel's most polarizing politicians and has a reputation for making inflammatory statements. The Palestinian president's adviser promptly denounced the appointment, saying Lieberman was a "fascist minister" who will promote settlements. Sami Abu Zuhri, a spokesman for Gaza's Islamic Hamas rulers, said all Israelis leaders are "criminals and killers" and that appointing Lieberman signaled "the increasing extremism and racism in the Israeli occupation." With the deal, Netanyahu expanded his coalition to 66 of parliament's 120 members. He previously only had 61, the slimmest of majorities, which made it difficult to govern and legislate and opened him to potential extortion of any single lawmaker. The new Cabinet was dominated by religious and ultranationalist ministers who oppose the establishment of a Palestinian state and had close ties to the West Bank settler movement. Avigdor Lieberman is a polarizing figure in Israeli politics. He has in the past called for the bombing of Palestinian gas stations, banks and commercial centers, and more recently, he led a parliamentary drive to exclude Arab parties from running for election. That drive was eventually overturned by Israel’s Supreme Court. 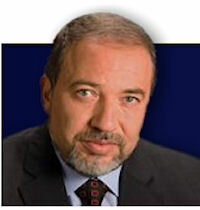 Lieberman is known for his nationalistic rhetoric, a key component of his election campaigning. Lieberman, an immigrant from the former Soviet Union, stirred controversy by questioning the loyalty of Israel's Arab citizens and proposing that some Arab communities in Israel be shifted to Palestinian control in a land-for peace deal. Lieberman rose to prominence as the engineer of Netanyahu's successful run for prime minister in 1996, and he later became Netanyahu's chief of staff. He has held a number of Cabinet posts in the past. Liberman served two terms as Foreign Minister, from April 2009 until December 2012 and from November 2013 until May 2015. Liberman is head of the Yisrael Beitenu Party, and served in the past as Minister of Transportation, Minister of National Infrastructures, Minister of Strategic Affairs, Chairman of the Knesset Foreign Affairs and Defense Committee, and Director-General of the Prime Minister's Office. He has served as a Member of Knesset since 1998. Avigdor Liberman was born in 1958 in Moldova and immigrated to Israel in 1978. He served in the IDF, and has a B.A. in International Relations and Political Science from the Hebrew University of Jerusalem. He is married, with three children. One of the founders of the Zionist Forum for Soviet Jewry, Avigdor Liberman was a member of the Board of the Jerusalem Economic Corporation and the Secretary of the Jerusalem branch of the Histadrut Ovdim Le'umit and was the editor of a newspaper (Yoman Yisraeli). Liberman served as Director-General of the Likud Movement from 1993-1996, and then as Director-General of the Prime Minister's Office (1996-1997). In 1999, he founded and became Head of the Yisrael Beiteinu Party. Yisrael Beitenu is unquestionably dominated by Liberman. Because the party has existed for only a few years, Liberman's leadership has been thorough and unchallenged. His constituents — mostly from the former Soviet Union — who immigrated in the 1990s, were older at the time of immigration, and are therefore living without either a Russian or Israeli pension. First elected to the Knesset in 1999, he has served as a member of the Foreign Affairs & Defense Committee and State Control Committees, and as Chairman of the Israel-Moldova Parliamentary Friendship League. United Torah Judaism and Shas have a long history of intense distaste for Liberman, who resents their control over religion-state matters. In March 2001, Liberman was appointed Minister of National Infrastructures. He resigned his post in March 2002. He served as Minister of Transportation from February 2003 until June 2004. He served as Deputy Prime Minister and Minister of Strategic Affairs from October 2006 until his resignation in January 2008. In March 2009, Avigdor Liberman was appointed Deputy Prime Minister and Minister of Foreign Affairs. Some considered Liberman to be a largely positive influence within the government, in part because of Liberman's support for the Roadmap, while Netanyahu continued to have reservations about the Roadmap. By November 2009, the Israeli leadership believed that through its temporary settlement freeze it has done its part to resume peace negotiations. When asked about Palestinian leadership's rejection of the settlement freeze, Israeli Minister of Foreign Affairs Avigdor Liberman said, "Palestinians' concerns should be the least of our worries. What we should care about are our friends in the world... we talked with them and most of them told us: help us to help you...The ball is now in the Palestinian court." In April 2010 Lieberman warned Palestinian officials not to declare independence unilaterally. Lieberman said any unilateral decision by the Palestinians would release Israel from its previous commitments. He said it would allow Israel to annex parts of the West Bank and end a series of agreements that had benefited Palestinians for more than 16 years. Lieberman resigned on 14 December 2012 after being charged with fraud and breach of trust. Israel's Justice Ministry said it would charge Lieberman over alleged irregularities tied to the promotion of an Israeli diplomat who had leaked him privileged information about a police probe into his activities. More serious allegations, including money-laundering and bribery, were dropped. He remained the head of the Yisrael Beitenu party. The Israeli mayor of Jerusalem was re-elected on October 23, 2013 in a hotly contested race that dealt a political blow to his challenger's main backers: former Foreign Minister Avigdor Lieberman and the ultra-Orthodox Shas party. A Jerusalem court on 06 November 2013 acquitted Lieberman on charges of fraud and breach of trust stemming from allegations he had given an Israeli diplomat an ambassador's post in exchange for a tip-off about a police probe into his affairs. Re-elected to the Knesset, he served as Chairman of the Knesset Foreign Affairs and Defense Committee until his reappointment as Minister of Foreign Affairs in November 2013. The Israeli Cabinet approved the return of far-right leader Avigdor Lieberman as foreign minister after his acquittal on corruption charges. Lieberman was outspoken in his skepticism of the US-sponsored negotiations that resumed in July 2015 after a three-year impasse, saying a permanent peace deal was impossible. He served until his resignation in May 2015. On 20 May 2016, reflecting the principle of “keep your friends close and your enemies closer,” the hawkish Yisrael Beytenu leader Avigdor Liberman was the presumptive defense minister. The Absorption Ministry was set to be handed over from Likud to Yisrael Beytenu. The unpredictable but pragmatic Liberman is said to have given up his demands on religion-state issues, namely reforms to Israel’s conversion authorities, the enactment of civil marriage, and instituting a more equitable and universal national service.